Café de Coral’s subsidiary and student lunch provider Luncheon Star has launched a mobile ordering app for schools, parents, and students to place orders. The subsidiary said the new app is the first of its kind in the industry which offers convenience to schools, parents and students. After registration, users can start placing orders and proceed to online payment by using credit cards. Users can also go to convenience stores or use PPS to pay. Available on Apple’s App Store and Google’s Play Store, the app allows users to view selected choices, order statuses and their payment history. 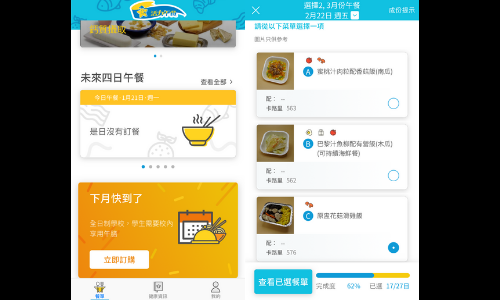 “As the largest student lunch provider in Hong Kong, Luncheon Star is committed to implementing new measures and providing proper assistance to schools, helping them minimise administrative procedures,” said Choi King Kiu, general manager of Luncheon Star. “The mobile ordering app has been launched in around 10 schools. We are looking forward to including more schools to the ordering system,” he added. Sulit.com.ph and OLX.com has joined forces to consolidate both companies’ hold on the Philippine online classifieds market,.. Thinking of picking up some new skills in 2018?..